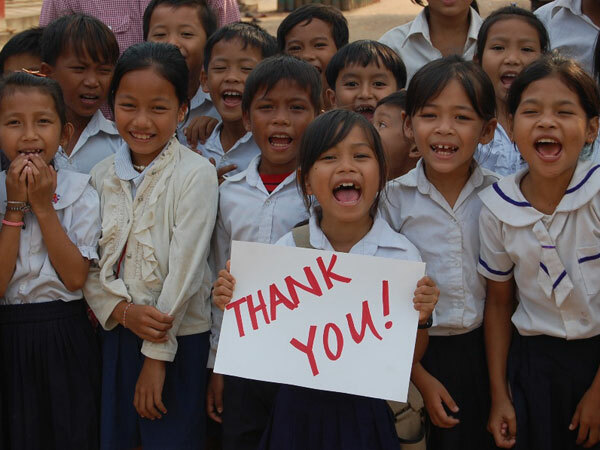 We began our project at the Phum Thnal primary school in Siem Reap, in 2005 with a dental mission, during which we provided free dental check ups and treatment for all 600 students and 20 teachers. In 2006 we built an office and record keeping room for the teachers which made a classroom available for us to begin daily English lessons for about 100 students. In 2008 we built and furnished a new school building with 3 large classrooms. We also built student bathrooms, with shower stalls, sinks, toilets and running water. In 2009 we sponsored the salary for a sport coach who have trained a boys and girls soccer team. We’ve provided uniforms, shoes and equipment for the teams. Presently, 180 students attend free English classes daily, 240 attend free computer classes daily and 36 children receive sports training 3 times per week. We’ve also organized an anual English camp with native English speaking instructors for the past 3 years and held special celebrations for the students on Children’s Day and Christmas/New Year. 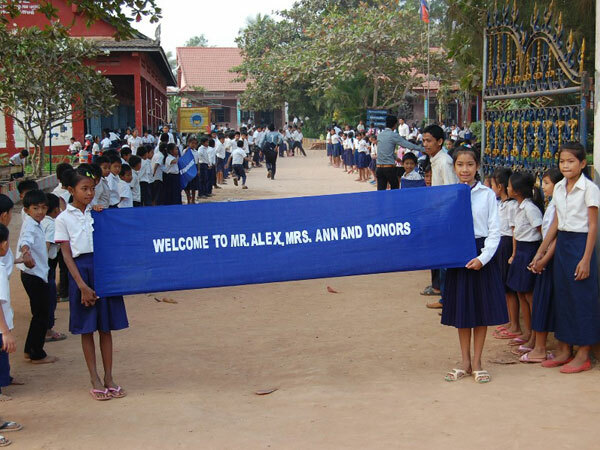 On January 15th, 2013, Ann and Alex travelled to Siem Reap to host an annual English and IT camp for 50 of the students, and to have a New Year celebration with all 200 students who are enrolled in FCC programs. 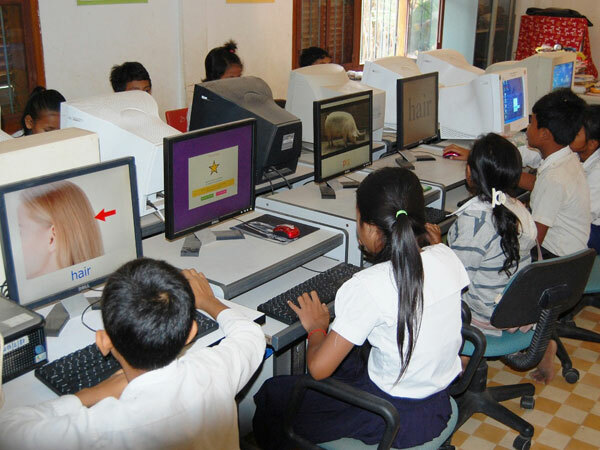 With EEECF/FCC trust fund resources they were able to purchase a computer and large flat-screen monitor, which were installed in English teaching classroom at the Phum Thnal Primary school in Sieam Reap province. 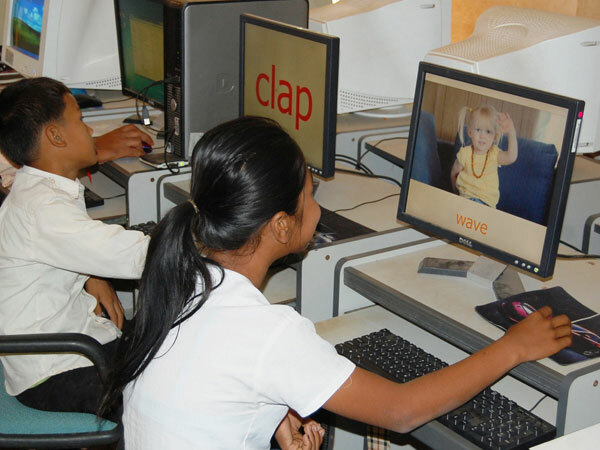 Every day, 200 rural school children, 4th, 5th, and 6th graders, participate in English and/or computer classes. There was no computer in the English classroom, so the one was sponsored by BrillKids ( through Trust Fund) and installed along with the Little Reader software, which will be added to the curriculum. The Little Redare program was also installed on 10 computers at the primary school (1 for the English classroom computer and the other 9 for computers in the IT lab.) There is no internet access at the school, so volunteers from Family Care Cambodia did all the installations at their headquarters and then brought the computers to the school, with the program pre-installed! Many thanks to the EEECF for sponsoring a large screen monitor and computer set up, as well as 10 Little Reader Basic licenses to be used at our rural education project in Siem Reap. We’d sent the news ahead, to our staff at the rural primary school, that we’d be coming with upgraded computers for the IT lab and a large screen computer for the English class. The teachers and students surprised us with a hero’s welcome upon arrival! They’d made lovely banners to express their thanks, and the children lined both sides of the school driveway, cheering and applauding as we walked through. We were truly humbled! That afternoon, our IT teacher worked until 10:00 pm to hook up all of the equipment we brought. The following morning we held an IT camp and an English camp for all of the 6th grade students. In the afternoon we had a class with the teachers on how to use the Little Reader program. Both teachers and students were totally delighted! A week later Alex from Family Care Cambodia travelled backback to Siem Reap this Sunday to check on things and was able to see first hand how programs were being implemented. This entry was posted in Cambodia and tagged BrillKids, cambodia, Family Care, Little Reader, Phnom Penh, Phum Thnal, Siem Reap. Bookmark the permalink.